KINGWOOD, Texas – The Bureau of Alcohol, Tobacco, Firearms and Explosives (ATF), the National Shooting Sports Foundation (NSSF), the trade association for the firearms industry, and Crime Stoppers of Houston have announced a reward for information leading to the arrest of suspect(s) responsible for burglarizing Kingwood Guns, located at 1110 Kingwood Drive in Kingwood, Texas. ATF is offering a reward of up to $3,500, which will be matched by the NSSF, and up to $1,000 by Crime Stoppers of Houston, for a total combined reward of up to $8,000. Unknown suspect(s) entered Kingwood Guns on September 12, 2017, at 4:30 a.m. The suspect(s) arrived in a dark colored truck, possibly a lowered four-door, crew cab Chevrolet Silverado, with chrome rims and loud mufflers. The suspects used a rock to break a window and enter the business and steal 21 rifles. One suspect was seen exiting the business with rifles in hand before entering the passenger side of the dark colored truck. The description of the other suspect(s) is unknown. 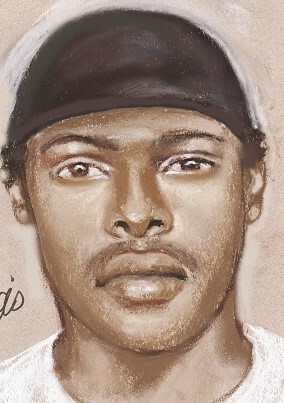 Suspect 1 is described as a dark skinned Hispanic male or light skinned black male, in his 20’s, 5’02” to 5’05”, with medium length black hair and a small build. Anyone with any information about this crime should contact Crime Stoppers at 713-222-TIPS, or ATF at 1-888-ATF-TIPS. Individuals can also submit information through the mobile reportit® app, available both on Google Play and the Apple App Store. All individuals providing tips can remain anonymous. The reward is part of a larger national cooperative initiative between the NSSF and ATF in which NSSF matches ATF rewards in cases involving the theft of firearms from federally licensed firearms retailers. ATF works closely with members of the firearms industry to curb the criminal acquisition and misuse of firearms.